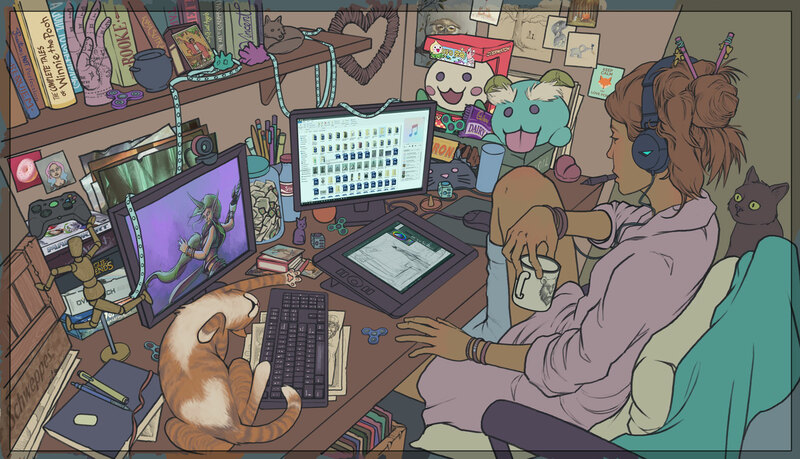 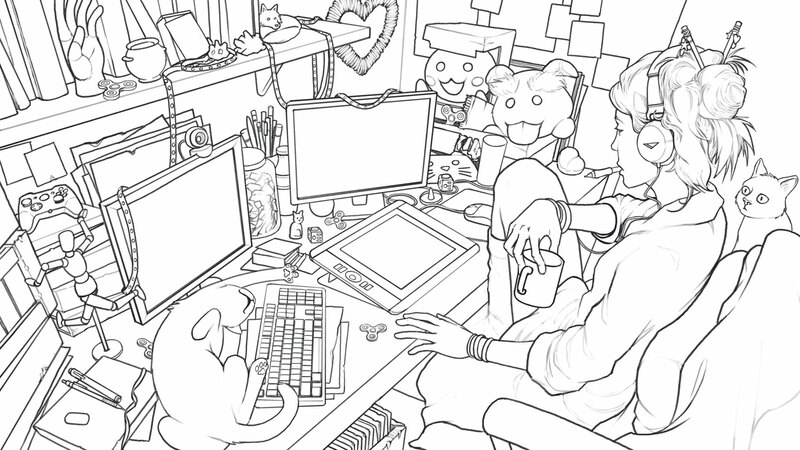 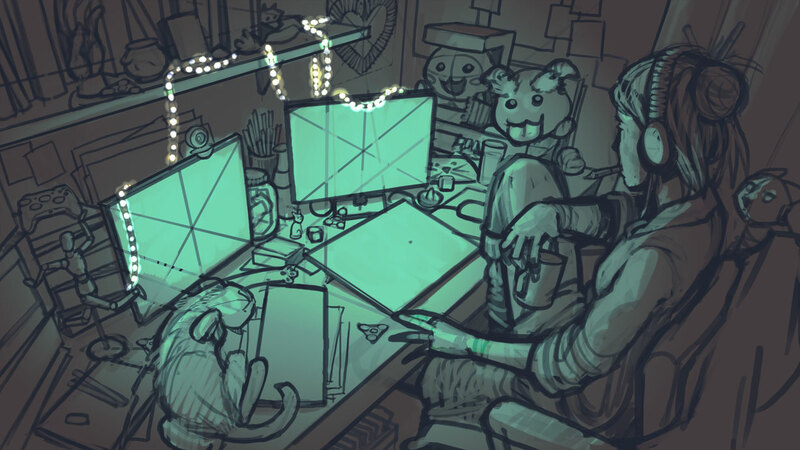 Image commissioned by individual, requesting to be drawn in her study, working on her own art, surrounded by her belongings and her cats. 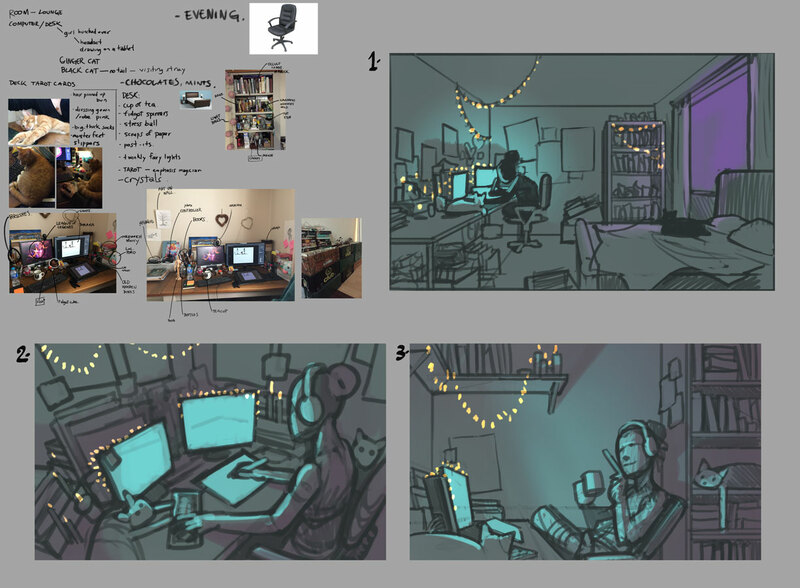 Client provided reference images of her workspace. 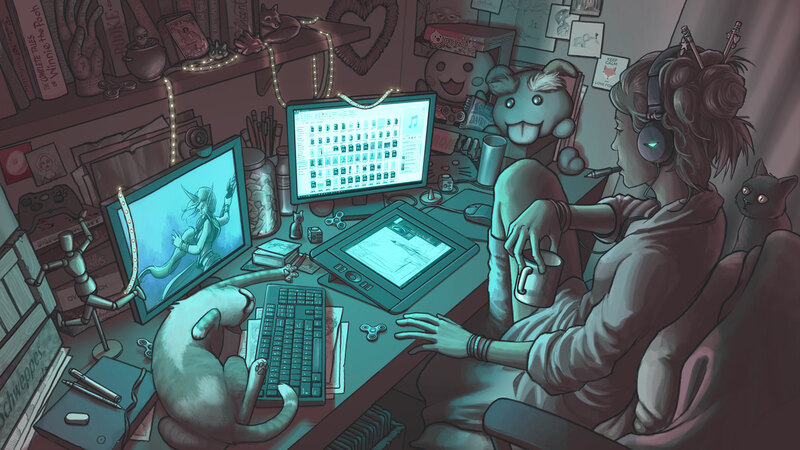 Created digitally, with Adobe Photoshop. 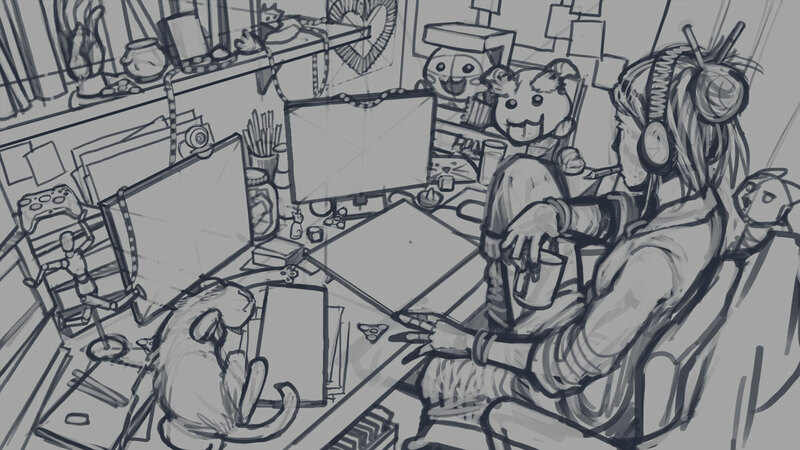 Process available in the gallery below.